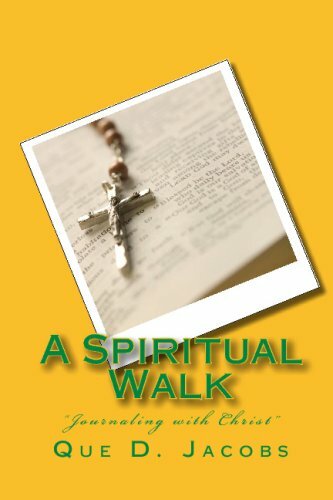 This is a journal to assist in chronicling a person's spiritual journey to become more Christ-like. This journal provides space to document all aspects of one's spirital development. It can be utilized by all ages, young and old. Meet Quebec Jacobs. Quebec is a mother, wife, educator, author, and the visionary of Another Que Creation. She has led an interesting life. She is a graduate of Fort Valley State University with Bachelors of Business Administration in marketing and a Master's of Science in mental health counseling. Mrs. Jacobs also received her master's degree in elementary education from University of Phoenix. She taught five years in the public school system as a special education and collaborative education teacher. She has also worked in the field of mental health providing therapeutic counseling to children who diagnosed with emotional behaviors disorders. To say that Mrs. Jacobs wears an array of hats is an understatement. She is constantly evolving and utilizing her various talents to take her to the next level. Her current passion is being placed with her baby, Another Que Creation. Her business allows her to create something special that warms the heart. It also gives her the opportunity to write some interesting stories and poetic expressions. Her first published creation, "Emotionally Unhinged: A Poetic Expression of Sorts" was written as a result of a personal storm that seemed to kill her spirit. "Emotionally Unhinged" is her interpretation of letting go and letting God. Now she is stepping out on faith and ready to take Another Que Creation to the next level. So be on the lookout because Que Jacobs is on the move. And get ready for her next publication because she definitely has more in store for her readers. For more information on Another Que Creation and the author, check http://www.AnotherQueCreation.com.